This past weekend, I headed down to my beach house to Marshfield for the 4th of July weekend. I got to see many of my cousins and aunts and uncles, as well some friends of mine. 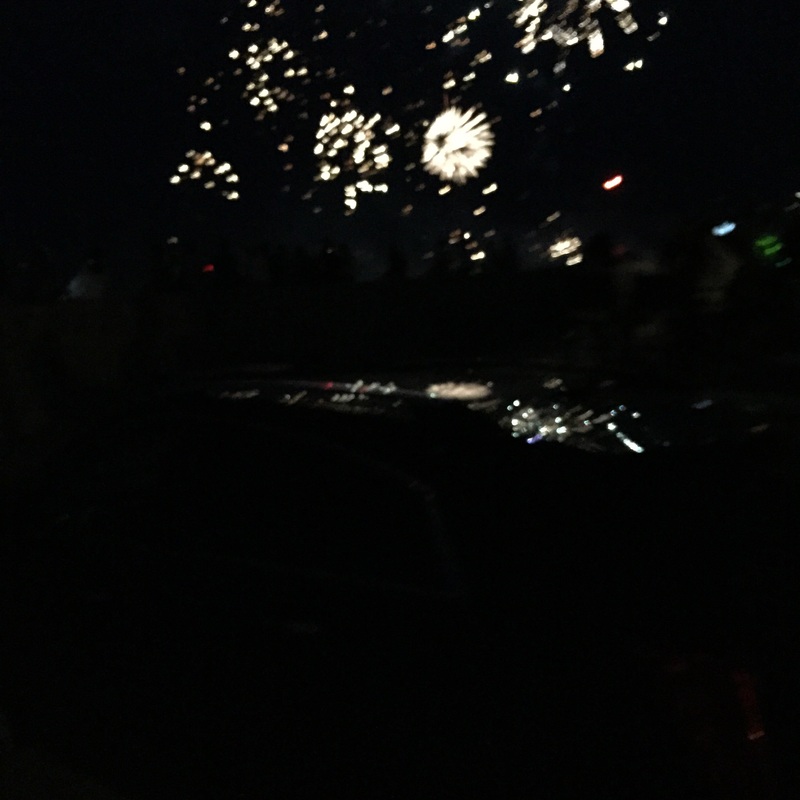 The fireworks were very spectacular and a joy to see on this eventful weekend. I also had the opportunity to try new activities during the weekend. I headed down to Marshfield on the morning of Friday, July 3rd with my parents. At a little after 10 AM, I arrived at my cottage and was greeted by Brian and his girlfriend Amanda. My cousin Chris, who is a Marine at Camp Pendleton in San Diego, happened to be around for the weekend. An hour or two later, Keith entered the house with his girlfriend Malorie. The guests at the cottage was then completed when Brian brought down his two rooomates Rich Kei and Mark Aldo for the weekend. The weather was nice that morning and we all headed to Fieldston Beach just up the street from my house. During the day, I got to meet my cousin Liz’s boyfriend from Yale Medical School, Nate. I discovered that Nate enjoys hobbies like lumberjacking and hiking and was pleased to know that he also enjoys the same type of music and artists that I listen to, such as The Beatles and Bob Dylan. I even got to play the frisbee esque game of Kanjam, which Keith had purchased online and wanted to use as a fun game to play on the beach and in the backyard of Nana’s cottage. For supper, I had nice meals of foods like chicken parm, eggplant parm, salad, and lasagna. A few hours later, the big moment would happen on the beach. Many fireworks were bursting from left to right all over the beach and let off some incredibly loud sounds and majestic colors. I first observed the fireworks with Brian, Amanda, Rich, and Mark from the backyard of Nana’s house before heading to the sea wall to catch an even better glimpse of the fireworks. Watching the fireworks on the sea wall is always a truly breathtaking experience and this year was certainly no exception. I always hoping that the fireworks celebrations would never end and hoped that the night lasted longer. I concluded the night by stopping by my friend Nate Baynes’ house in the same neighborhood for some post fireworks festivities. The next day was another incredible day of the weekend. Even more relatives of mine would stop by at Nana’s cottage for the day. My aunt, Sheila Carney, brought down her chocolate lab mix dog Dublin to Nana’s house. Amanda’s parents, Lisa and Jim Smith, also came down to Marshfield for the day with their three year old female golden retriever, Summer. Summer and Dublin got to visit both my house and Nana’s house on Saturday. Summer was very playful and always enjoys the company of me, my brothers, and my relatives. Dublin is a shyer dog in temperant, but I was also very delighted to see her and even got to play with her a few times during the day. I had a very nice supper of steak with salad with a dessert meal of vanilla cake from the nearby Sweetcakes shop in Marshfield. After the guests had left for the evening, I concluded my weekend by listening to Ray Charles’ rendition of “America the Beautiful” and Hall and Oates’ cover of “Hot Fun in the Summmetime” on YouTube. July 4th is one of my favorite weekends of the year and is a wonderful time to get together with friends and extended family members.